In ancient times healers were very valuable people, because there were few of them that could actually heal a person. Your hero has studied Basic Human Anatomy at the Monastery and that’s why he’s able to heal some of the wounded soldiers. This Skill gives you the ability to revive injured Units during a Battle. This happens right after every round of the Battle. If you master this Skill you can revive up to 15% of you killed Units which is the game's maximum, except for the Bulgarians. 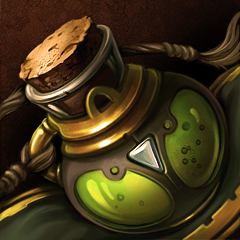 Their Special Unit the Tangra Priest has a bonus that gives you the ability to heal up to 22% of the killed Units. The specific percentage of units healed is chosen at random, from values that are between the maximum bonus you have and the maximum minus 4. After the first round you have lost 100 Pikemen. You have developed the Healer Skill to Advanced and you have 50 Tangra priests in the end of the round (that have survived). The Skill gives 10% and the Tangra Priests give another 50 x 0.2% = 10% which sums up to 20%. This means that you will heal between 16% (max minus 4) and 20% (max). For instance 17% - You will heal 17 Pikemen.